Debonair prepsters everywhere are sure to swoon over Seraphin’s latest vintage collection, boasting a neutrally rich palette, dapper silhouettes and quaint detailing for mid-19th century appeal. Simple rounds and soft squares are brought to life with classic saddle bridges, modest filigree and etched finishes, and prominent brow bars. Meanwhile, a mix of glossy tortoise acetate with bronze and gold metals brings a sense of prestige to these charming spectacles. 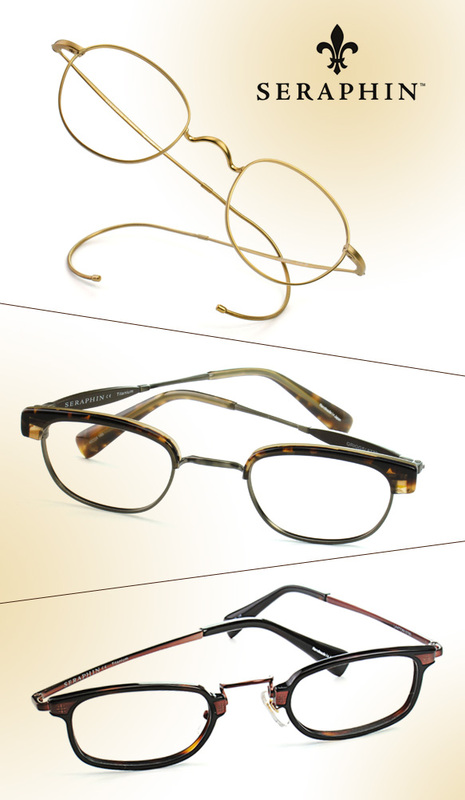 Get even more deets on these handcrafted frames here!